Congratulations! 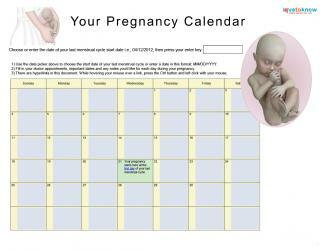 It's now the 11th week of your pregnancy, and your little one has officially graduated to the status of "fetus." This is a big step in his prenatal development. Now that all of your baby's major organs have started forming, his growth will be all about maturing and putting on pounds. Your baby's external genitalia have almost completely formed. 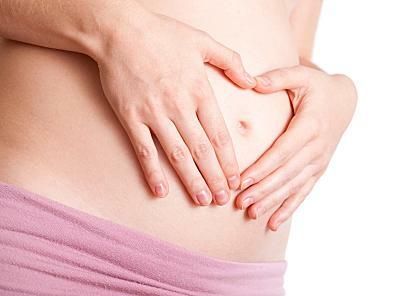 Soon, an ultrasound might be able to tell if you are having a boy or a girl! At this time, you can also hear your baby's heartbeat with a Doppler. Your little one has begun growing hair and fingernails. His fingers and toes have separated and no longer have a webbed appearance. Your baby's bones are now beginning to harden. His intestines are starting to contract in practice for digesting food. While your baby looks more like a human being each day, there are still some important differences. Unlike an adult, your baby's head is almost half the length of his entire body! His skin is also very transparent. One of the most pleasant side effects of pregnancy is an improved complexion. Increased blood flow and changing hormone levels work together to give your skin a smooth, plump appearance. Gentle stretching and the use of a heating pad should relieve your discomfort. Get some gentle exercise. Staying active can improve your circulation. Taking a magnesium supplement can also help. Always talk to your health care professional if you're experiencing anything that concerns you, such as severe cramping or bleeding. Always check with your doctor or midwife first. Assuming you have no complications with your pregnancy, your doctor is unlikely to restrict your ability to travel. Travel limitations are typically for women with diabetes, high blood pressure, placental abnormalities, or a high risk of premature labor. Women who are carrying multiples may be asked to stay close to home during their pregnancies. If you're flying to your destination, ask the airline for a seat in the middle of the plane over the wing to provide the smoothest ride. Request that your healthcare provider refer you to an obstetrician who can offer any needed medical attention while you are away from home. Tuck a copy of your medical history and emergency contact information in your purse. If you're traveling by car, drink lots of water and schedule plenty of bathroom breaks. If you're often hungry, bring a cooler filled with healthy snacks. Remember that your lap belt should be secured below your belly and across your hips. It should fit snugly over your pelvis. Wearing your belt across your belly could cause your placenta to separate from your uterus in the event of a crash. Although you're still in the first trimester, you may find that you're starting to notice less morning sickness and fatigue. These unpleasant symptoms will continue to fade in the weeks to come.